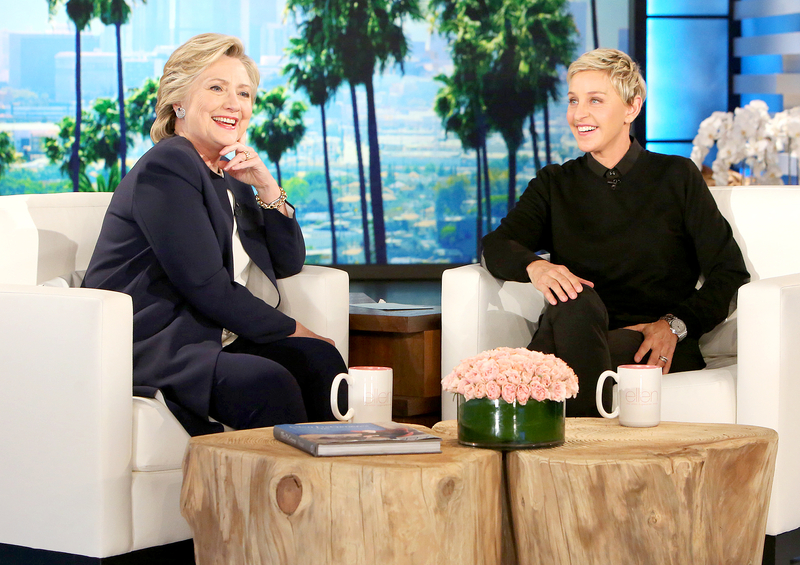 Hillary Clinton stopped by The Ellen DeGeneres Show to talk about the second presidential debate, her signature shimmy dance move and more in an episode that will air on Friday, October 14. From left: Hillary Clinton and Ellen DeGeneres Michael Rozman/Warner Bros. The former secretary of state said that she just tried to stay focused and keep her composure. 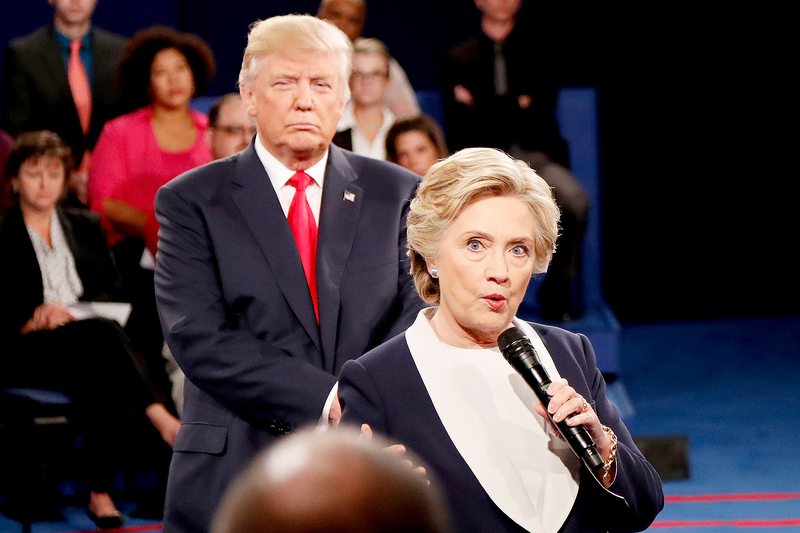 “I would just feel this presence behind me, and you know, I thought, ‘Whoa, this is really weird,’” she said. PHOTOS: See Which Celebrities Are Democrats! The Oval Office hopeful revealed her birthday wish for her upcoming 69th birthday on October 26. “I have several wishes, one of them obviously includes the election, but I really wish that I will be the president that our country needs right now. … Just think of it this way, I will be the youngest woman ever elected President of the United States,” she quipped.